Well there’s no actual singing, but lots of lyrics in the new audio book version of my first poetry collection, Bar Talk. You can download it here. 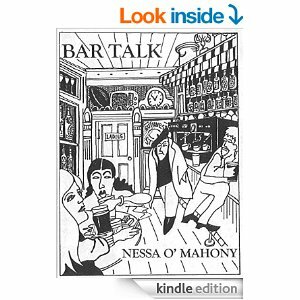 I was thrilled when Helen Shaw of Athena Media approached me with the suggestion of turning Bar Talk into an audio book. It hasn’t been in print for years (it was first published in 1999) and although an online version was available through creative commons due to the marvellous guys at Irish Literary Revival, it had disappeared from sight, by and large. And audio is something different; a chance to hear the work as it was intended to be heard. So I enthusiastically agreed. The whole process of recording it was fascinating. Athena’s terrific sound editor Amy Miller coached me through the whole process, reminding me that I should read as if I had one favourite listener in mind. 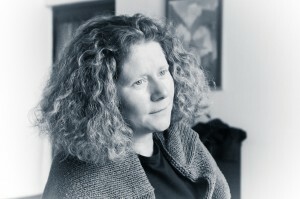 Poetry is story, after all, so it really helped me to reconnect with the poems and the ideas behind them when I visualised the people who I first had in mind when I wrote them and told them the story again. Some of those people are still in my life, thankfully, others long gone, so it was particularly poignant to get myself back into the mindset of the young woman I once was. I really rather liked her. And one whole collection of poems takes only 49 minutes to listen to. Who knew?